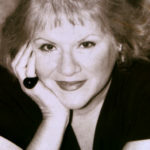 Ann Rule was an American true crime author of The Stranger Beside Me, about Rule’s co-worker, the serial killer Ted Bundy. Rule was also known for her book Small Sacrifices, about Oregon child murderer Diane Downs. Many of Rule’s books center on murder cases that occurred in the Pacific Northwest and her adopted home state of Washington. "Lazy people tend not to take chances, but express themselves by tearing down other’s work."